Innovative Server-free, Distributed, Independent and Autonomous Power Control Scheme was devised from Hayabusa mission, the world's first Sample & Return mission from an Asteroid Itokawa in 2010. 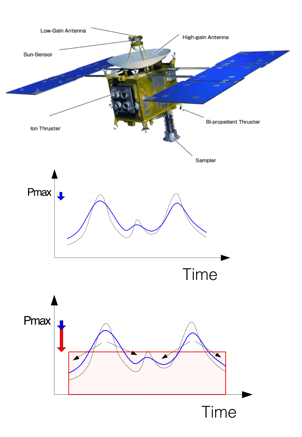 Power consumption aboard a spacecraft varies on heater power consumption as shown on left, while solar power generation stays constant. That fluctuation degrades effective power availability. 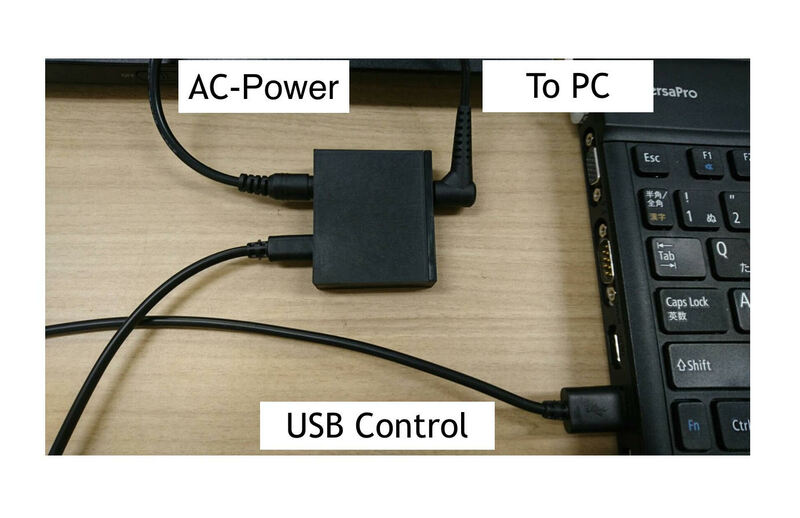 The Hayabusa spacecraft introduced the Peak Power-Cut Controller for the first time. It was based on Centralized, in other words, on server-client communication method. The process first inquires every client about the status on which priority is determined. The process next collects those information from all the clients and calculates the strategy, and the results are informed to those all the clients. And finally, those clients perform the strategy requested from the server. This is a time-consuming way and not efficient. 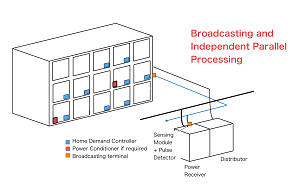 Next figure on right shows how our Independent, Autonomous and Distributed Control work. It is simple. Each entity has just to hear the news broadcasted. And each determines the strategy based on the already distributed software. This constitutes the server-free system. Essence in Energy Management System lies in controlling a single property. Why do we have to pour money to collect every information from all the clients? 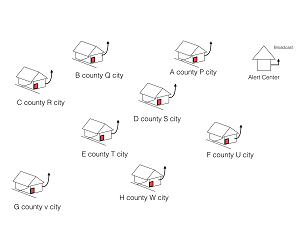 A typical application is drawn for collective houses. Power consumption is shared by all the residents, and the total power consumption is practically limited. Same thing is true of EV Stations for Electrical Vehicle. The power is shared among all the EV stations. 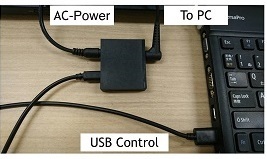 The method is widely applicable and described as shown on left. 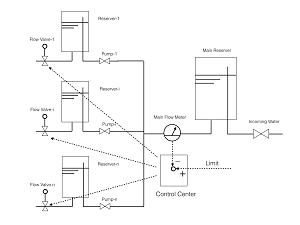 Here is shown one application for Flow Control. Flow control is managed by Distributed Entities.